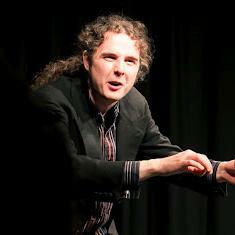 Coming up on the 14th July, Beeston Tales is bringing you the next in its program of masterclasses for storytellers. Internationally acclaimed performer Fred Versonnen is stopping off with us as he travels from Belgium to The Festival at the Edge. Clowning is a beautiful way of making connections. Connections with your audience, connections with parts of yourself you don’t always talk to. 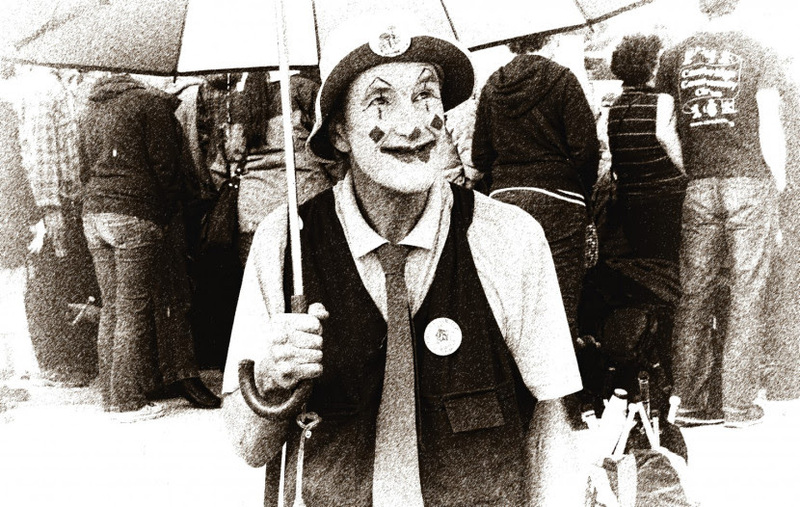 Fred has a lively and colourful background as a street performer, jester, stilt walker, fire crasher, clown, juggler and storyteller. He currently teaches at Circus School and spent many years working in Children’s Hospitals. In this workshop he’ll introduce storytellers to some useful clowning techniques and games. Learn to be fully present. Learn to embrace judgement and vulnerability. And who knows, maybe you’ll learn how to make someone laugh! This workshop is taking place upstairs at The White Lion Bar and Kitchen. Turn up at 10:30 for an 11.00 start. Wear loose clothing. Expected end time is 16:30. This workshop will cost £35 and includes lunch provided by The White Lion. Please let us know of any dietary requirements when you book. Book by sending a cheque to Mike, by emailing us to confirm details or via the paypal link below that says Book Now. Perhaps you’re not convinced of the link between clowning and storytelling? Read this personal account by Simon Sylvester who attended one of Fred’s workshops several years ago in Brigsteer. “Last month, at Dreamfired, I saw storyteller Fred Versonnen perform the amazing Elephant Story. The next morning, I attended his clowning workshop in Arnside. This had almost nothing to do with the stereotypical idea of clowning – no silly noses, no silly shoes – and was essentially a 101 on delivery, performance and body language. Fred warned us at the start of the session that it might take us to some uncomfortable places. I didn’t believe him, but he was right. It’s taken me this entire month to process some of the things that happened in that class. I’m not sure I’ll ever totally get to grips with it, but at the same time, I no longer think I need to. I just wanted to record a few thoughts on what clowning means to me. I’m not going to talk about the specific activities Fred led us through. They were plentiful, varied, invigorating, intense and brilliantly useful, but they will mean different things to each person who attended, and I don’t feel the need to dissect the actual workshop. I want to talk about what I learned. I learned that I’m frightened of embarrassment. Most of us are, probably. During the workshop, we performed tasks specifically designed to undermine dignity and strip away the topmost layers of self-respect. I found myself trying to rationalise the embarrassment by imposing a narrative upon it, but every time, Fred forced me to confront it. ‘For a clown, embarrassment is a gift,’ he said. In this way, I learned that clowns are truly fearless. I also learned to wait. In a world consumed with noise and signals, the clown is silent. She waits, absorbing everything, and then she waits some more, until the wait itself becomes excruciating – until the pause itself becomes the embarrassment – and then she responds. In that pause, the clown is naked. Every part of her is laid open for the world to see. 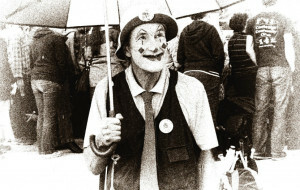 The clown waits long enough for the audience to connect, to project their own feelings onto the situation, to drown in empathy, to cringe in anticipation. Every part of them is laid wide open. This is the tragedy of the clown, and the triumph. It has nothing to do with face paint or comedy trousers. Laurel and Hardy are clowns, and Pennywise is not. I couldn’t live that way, but I’m trying to bring some of it into in my own readings. At the Flashtag story slam, I made myself pause, and wait, then wait some more. I took a stupid hat onstage for my final story, and I forced myself to wear it. I tried to share anticipation of what was coming next with the audience. It was, without a doubt, the happiest I’ve ever been with my performance – the best I’ve ever read my stories. For everything I learned, I’m not sure I’ll ever know how to apply it properly. But I think I understand, now, that not knowing is itself part of clowning. It is Zen – pure action, without thought. I think too much. At the start of this post, I said that the workshop had nothing to do with silly noses. That isn’t entirely true. At the very start of the session, as people were still arriving, we gathered in the kitchen to wait. Fred began to ransack the drawers, looking for props to use in the workshop. He found an orange ping pong ball. In a single, fluid motion, he spun to face me, bringing the ball to his nose, and he grinned. Just as quickly, he replaced the ball and closed the drawer. But in that second, or half a second, he’d become a clown. His face changed, his body changed – with the sheer, magnificent, wondrous joy of finding a ping pong ball in a kitchen drawer. Hi! This is the page I sometimes use to sell tickets to workshops or shows that I’m running. Right now I have nothing on sale. If you’re looking for Beeston Tales tickets, you can pick those up here. Want to make a traditional story your own when you tell it? We ask Nell Phoenix how. Show notes in the comments. ‘Mimesis’ and ‘Diegesis’ are two terms from drama and narrative theory that I tend to use a lot, so I thought I’d take a moment to explain them here. To put it simply, both mimesis and diegesis describe ways of presenting a story. In mimesis, the story is acted out. In diegesis, the story is narrated. Mimesis is show. Diegesis is tell. Most film and television stories are mimesis. The audience and the actors are engaged in an elaborate game of pretend – a contract that expects the actors to behave as if they really are the character. The audience, for their part, is invited to suspend their disbelief, to forget the many layers of artifice and experience the story as if was in some way real. The film or program may help this with powerful, believable acting, a spectacle of special effects and convincing costume. These great efforts are expended because, for the audience to have an emotional experience arising from the mimesis, they need a sense of authenticity. They need to trust and believe that what they are seeing is, after a fashion, a reality. The phenomenon is even more interesting in theatre. The lights drop, the curtains rise, and once again audience and performers are united in an artistic pact. On the one side, the performers portray a playwright’s script as if the memorised lines were spontaneous and their own. On the other side of the fourth wall, the audience act as if they were not sitting in a crowd of acquaintances. Instead, they almost behave as if they themselves do not exist. They become part of the play of theatre, the game whereby backdrops and props indicate and create an imaginary world. If the game is well done the audience’s experience of that world can be as profound, ecstatic or cathartic as anything the real world can offer. If you’re willing to wave that fake knife around as if you really mean it, the audience member unconsciously agrees, I’ll feel a real sense of dread that you’ll stab King Duncan. But Mimesis asks more of its audience than simply to believe in an imaginary world. Indeed, all narrative invites the listener into an imaginary world. The distinctive feature of mimesis is that the audience experiences the story as playing out in front of them. The imaginary world does not exist at a distance – it is neither long ago nor in a galaxy far away, it is on this screen, this stage, immediate and immanent, for as long as the story takes. Obviously as a storyteller I work almost entirely with diegesis. Between the “Once upon a time” and the “happily ever after.” I invite my listeners to join me on an imaginary journey, but I do not expect them to experience it as actually happening in front of them. Diegesis, so the school children in Rainham explained to me when I introduced them to the term, requires you to use your imagination more than mimesis, and is more powerful as a result. There’s some truth in that:- the cinema of the mind has the most compelling of special effects, with artistry and budget constraints handed over to the listener. I remember talking to audience members about a particular monster from a Dovie Thomason story. One woman described how the monster was a childhood terror she knew from growing up, a thing that had lived in her garden pond, a creature of scales and teeth with murderous intentions. She marvelled at how Dovie had managed to bring to life this creature that had been buried under decades of memory. In truth, the detailed description of the monster that the listener was able to give hardly matched Dovie’s broad brush strokes at all. The teller had offered a canvas and the listener had painted their own deep fears. The diegesis is what is told and that means making critical decisions about what to leave untold. Because it allows us to simply state outright the point we’re trying to convey in the story, Diegesis allows us to be more economical than mimesis. This character, I can say, was up all night worrying. The director has to show the character removing their glasses, rubbing their eyes, lines on their face. The script writer may even engineer a chance for a little exposition. Sorry, I was up all night worrying. And yet having said this, there is an incredible power in the insight that mimesis requires of us. We end a scene with a character awake, pacing the room, night outside. We start a new scene with them slumped at a table, still dressed but now slightly unkempt, removing their glasses to rub at bleary, red eyes. On some deep level, the audience clicks. ah ha! they think, realising that time has passed They were up all night worrying. They still haven’t had any news. I bet they’re really tired. That insight into the underlying story is part of what makes mimesis enchanting. In many ways the greatest hook mimesis has is the way the audience creates the narrative from what they are shown. It is for this reason that so much creative advice boils down to “show and don’t tell.” It’s not just that the opposite leads to clumsy, exposition-heavy dialogue. 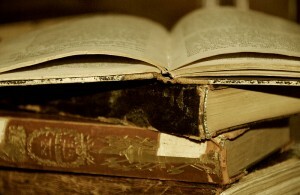 It’s because of the enchantment of insight that draws the audience into a story well shown. Of course, it’s perfectly possible to leave space for insight in diegesis, in telling a tale, and there may well be another blog post about that in the future. On the other end of the spectrum of economy, diegesis also allows us to take our time. A novel can linger over a character’s emotions, thoughts, memories, histories, perceptions and expectations in ways that mimetic artforms struggle to replicate. Indeed, it is one of the features of mimesis that it tends to take place in real time. There may be cuts between scenes, but when an actor recites a scripted line it takes them exactly as long as it takes their character. When they walk down a corridor and we watch them go, time in the world of the story and time in the world of the portrayal are in synch. Each second of screen time is a second of the audience’s time as well. How long does a novel linger over the space of a few seconds? As long as the author deems necessary. She is free from the tyranny of a constantly shifting now. And there are further subtleties to both. Shakespeare loved a play within a play; mimesis within mimesis. A character in a play may tell a story; diegesis within mimesis. Likewise a storyteller may step into character stance, may speak in the character’s voice, and suddenly a little moment of mimesis occurs. Beyond diegesis, the storyteller also has the option of talking to the audience directly. Ben Haggerty calls this “The language of commentary”, but then clarifies that everything, including for example the clothes the storyteller wears to tell their tale, is commentary on the story. I’m being a little more specific. I describe the act of a teller pausing in their narration to address the audience directly as stepping into “commentator stance.” It may be as brief as a knowing look toward the audience that says “we all know what’s going on here!” But it is outside the diegesis, in the world that the teller and the audience share, not the world of the story. The truth, as is probably becoming clear, is that diegesis and mimesis are not distinct labels that can be exclusively applied to each narrative expression. They are a spectrum on which different artforms and performances exist at intervals. A graphic novel encompasses both in every panel. A film director who uses a voice over embeds a little diegesis in their work. A writer who summarises a whole conversations in a few lines rather than directly reporting the speech makes medium already strongly diegetic even more so by telling about the character’s words rather than showing them writ long. Diegesis. Mimesis. That’s how I’ll be using the words here. I was at Larmer Tree Festival telling stories. It was magical, but I’m not here to tell you about that. I’m here to tell you about Stewart Wright’s “The Nothing Show”, a half-hour performance piece that was so good I saw it twice. It’s hard to describe the piece without spoilers. It’s a mime, the solo performer simply enacts getting up in the morning and getting ready to go out. Wright doesn’t speak, though he does make sound effects. That’s all. The physicality, the facial expressions, the creation and exploration of an imaginary geography, the skills Wright demonstrates are amazing. I was enthralled at how he was able to portray so much and get his audience so emotionally invested in a character whilst apprently doing so little. But to understand the appeal of The Nothing Show, you have to step back from the moment by moment joy of Wright’s corporeal mime and see the piece as a whole. For the last hundred years the public whiteface of mime has been one of elaborate, formal gesture. It’s been one of talented street performance. It’s been impressive and technical but it hasn’t always been moving. It wasn’t always like that. The Mummers plays, for example, were about telling a story through an interesting medium, and Wright is re-exploring exactly that effect in his performance. The Nothing Show portrays a character who is a charming, sympathetic and believable individual. It shares the narrative of the compounded difficulties of getting ready to go out in the morning, underpinned with the mime’s craving for self-expression and freedom from the tyranny of the mundane. It features all the hallmarks of great storytelling composition: Reincorporation, escalation, premise and so on. The result is a triumph. The Nothing Show connects to its audience in a way that formal mime can not, and it does it by embracing narrative. Good clip of Daniel Morden and Sarah Moody! “It’s a sort of cinema of the mind.” Gorgeous stuff! And he’s a very fine gentleman as well. I feel very strongly that storytellers need to be ambassadors, pioneers. It is such a niche practice that most people in this country do not know what storytelling is. They imagine it’s reading or that it’s something for children. I’ve seen people, exposed to storytelling for the first time as adults, who find the experience magical, cathartic, transportive. Likewise, I’ve seen people who find the experience quaint, silly or even boring. It’s part of our job to ensure that potential new listeners get the former experience rather than the latter! In order to understand our obligations to storytelling as an artform, we need to understand the context in which we tell stories. We need to look frankly at the British storytelling scene, the community of tellers and listeners, and come to understand where we are and where we’re going. Firstly, I and my generation sit in the lucky position of having grown up in a culture with a storytelling scene, a community. It exists online, in the network of clubs, in the Young Storyteller of the Year competition, in the festivals and so on. It’s limited, it’s a medley, most people living in this country won’t even be aware of it. But it is no longer entirely true to say, as Marion Bloch did at the inaugural Gathering of the Society for Storytelling that we are a people “orphaned to tradition.” Now you can argue that this scene is evidence of an uninterrupted folk tradition that has been preserved, perhaps through rural or travelling communities, for generations, supported by the written word of those who went out to collect and preserve our native heritage. Or you can view it as a new creation, either born off the back of the folk revival or cobbled together in the 80s as a parallel of foreign storytelling cultures. But either way, it makes very little difference to what we have today; you can call it a resurgence, a resurrection, whatever, the fact it that a tradition exists. There are Storytellers performing in theatres, on railway station platforms, at music and spoken word festivals. There is an established common repertoire that is being passed back and forth. There are networks of people involved in the scene, in how the money moves, in organising and promoting gigs. There are crowds of people gathering to listen with up turned faces and high expectations. Which brings me to the point in this post, the purpose of The Room Behind the Bookcase. I want to share what I’m learning as a person who is growing as a storyteller. I want to put up here, on this site, a series of simple free lessons, maybe some recordings of stories, maybe some interviews, maybe some critical reviews, anything that I feel serves to nourish the village. I don’t pretend to be a master yet, but hopefully some of what I say will be of interest or use to someone, and if all it does is serve to start a bit of a dialogue then that’s enough for me.